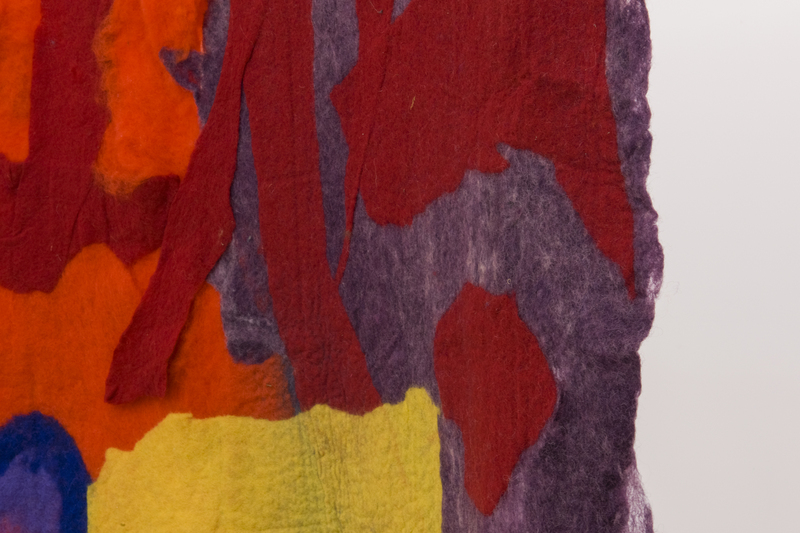 Catriona Jeffries is pleased to present Rebecca Brewer’s most recent series of paintings and large scale felt works. 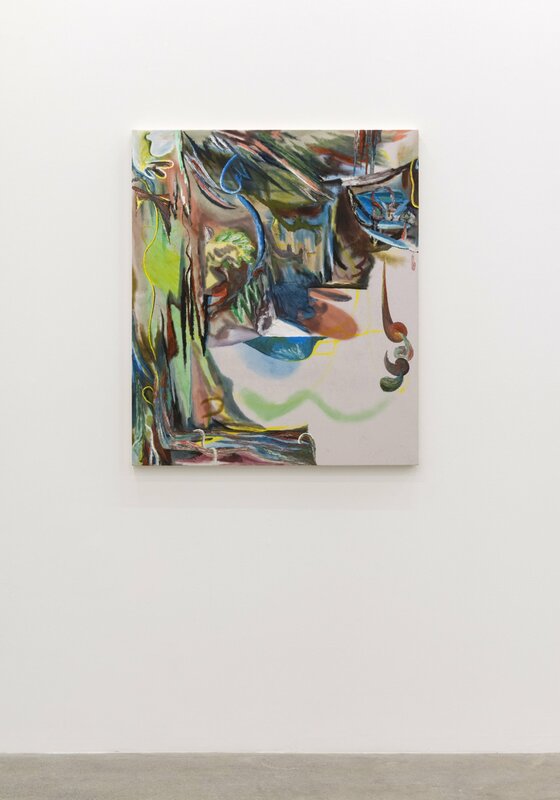 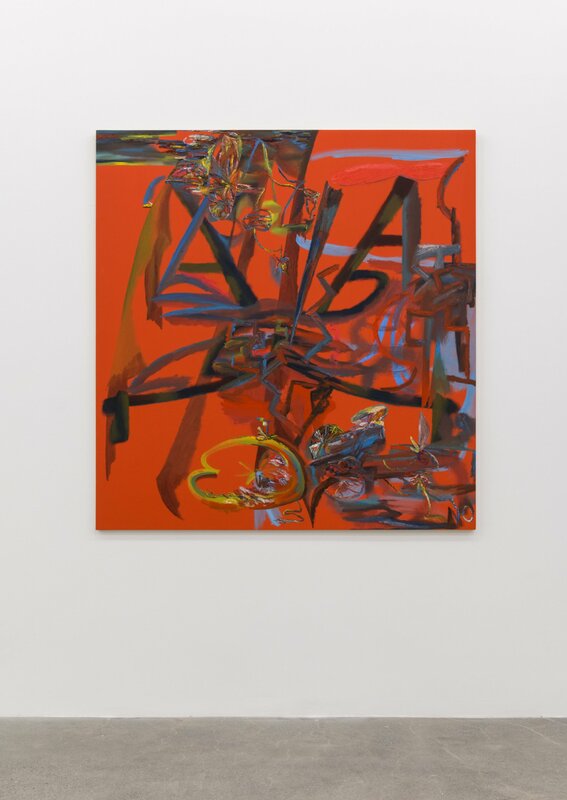 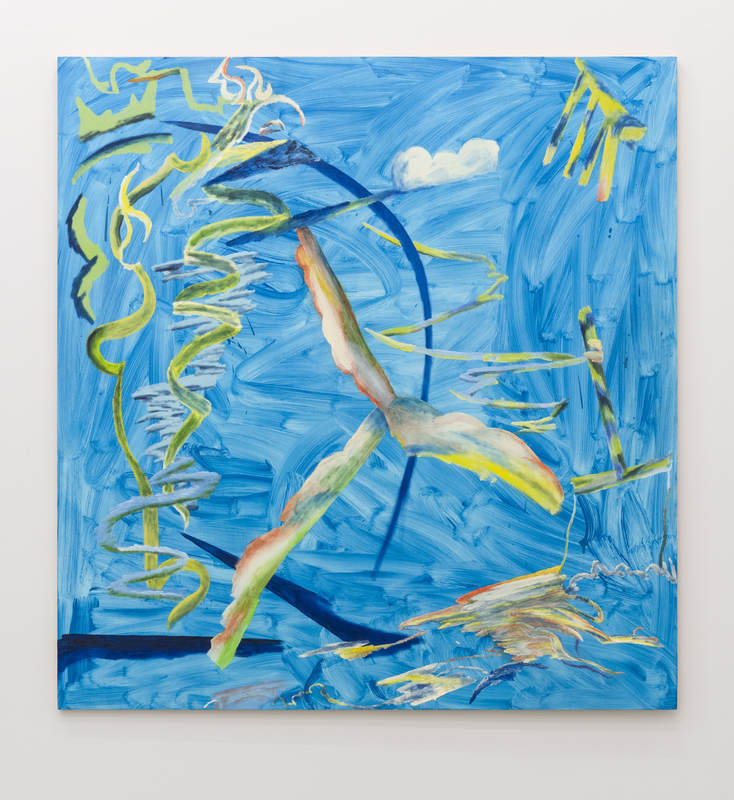 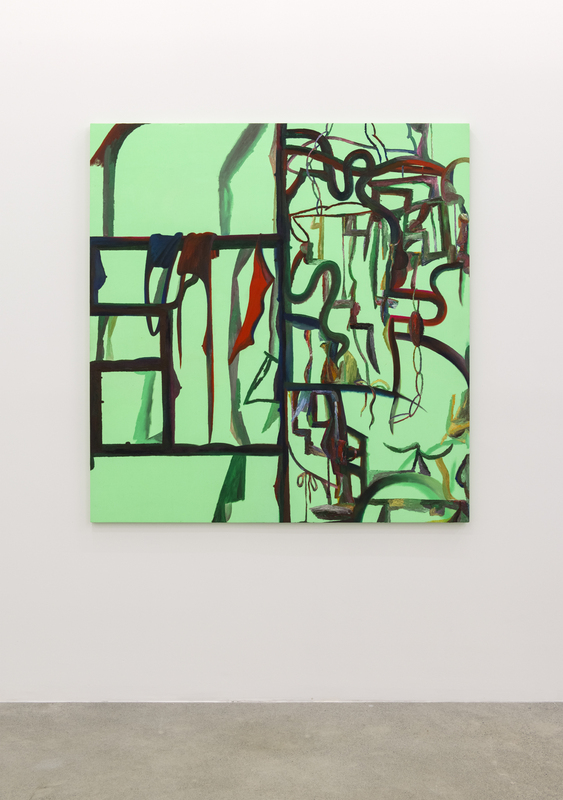 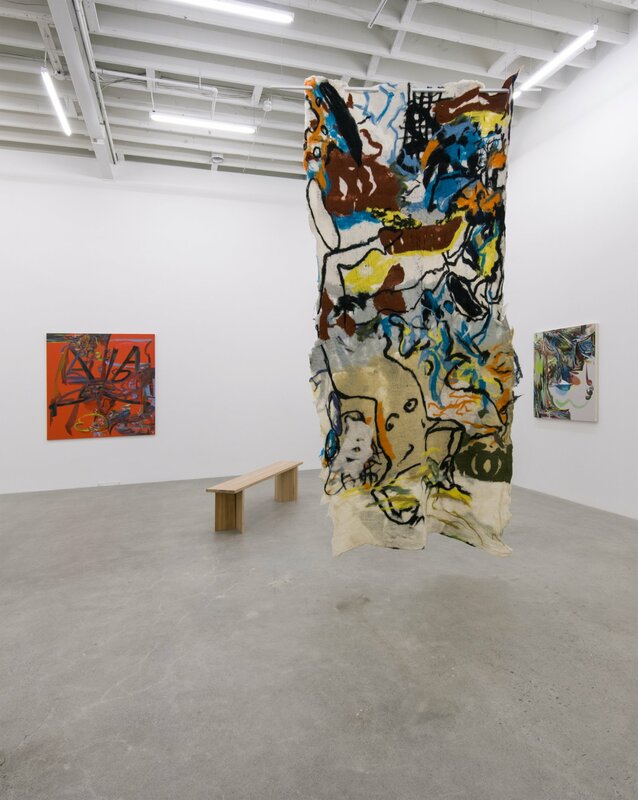 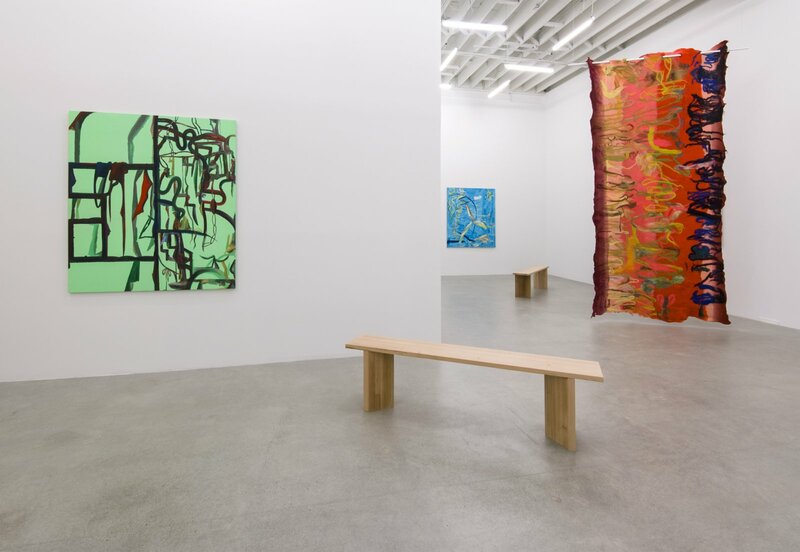 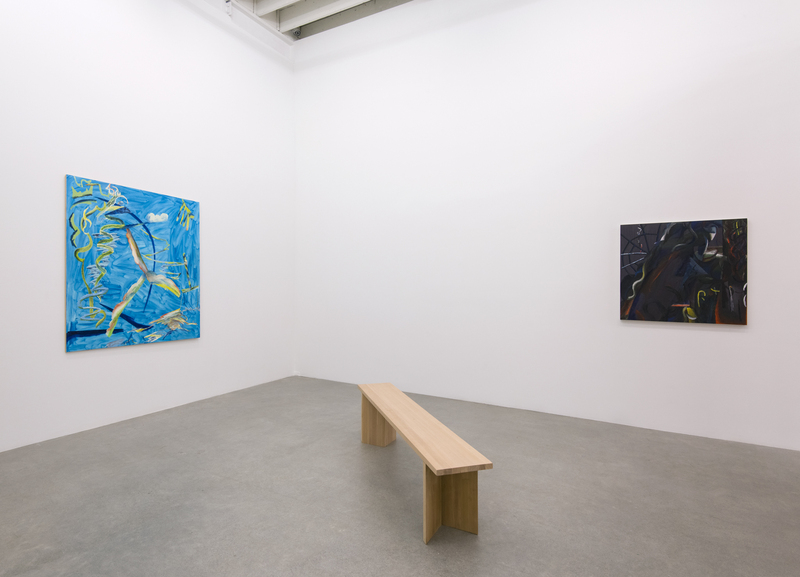 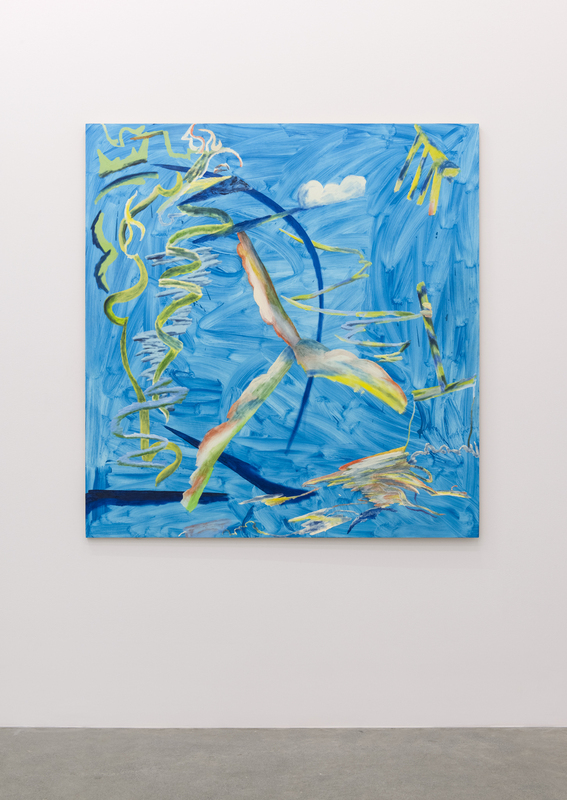 The exhibition’s central constellation of paintings embodies, obliquely, the four stages of a day - dawn, noon, sunset and dusk – articulating both the light and psychic conditions that characterize them for the artist herself. 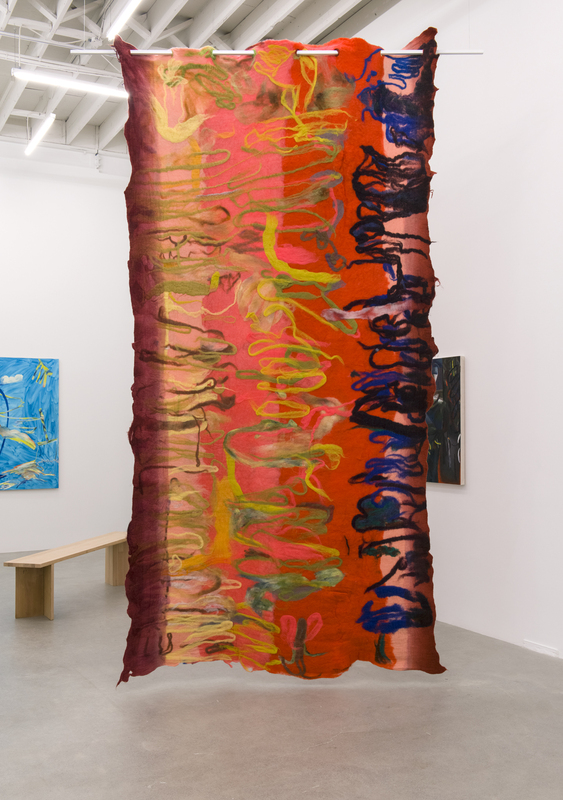 Performing as conceivable windows, the paintings contemplate times of day as transitions through mental and physical states. 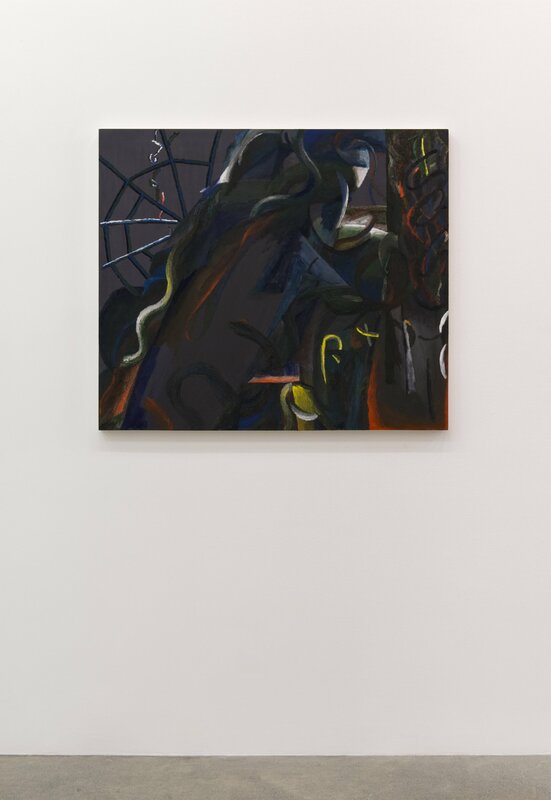 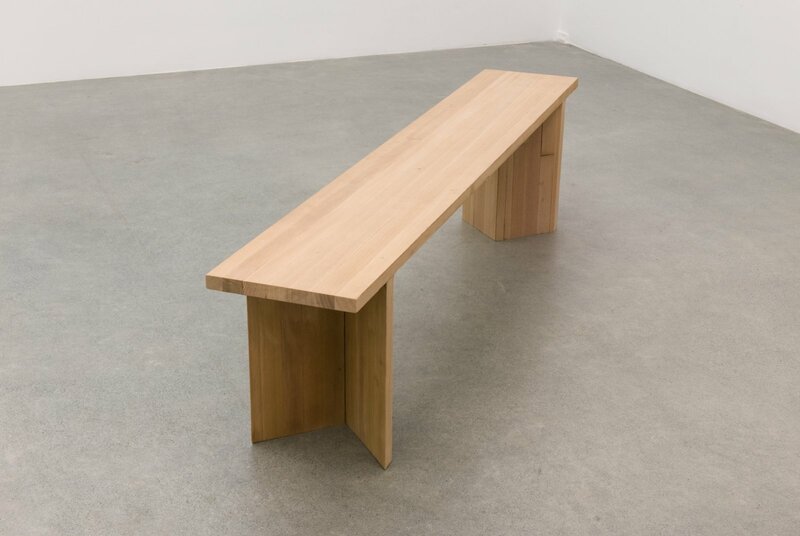 The work reflects on wakefulness and exhaustion, positing a space in between: a non-binary vitality of weariness – weariness both as a space of intensity and as a secret knowledge or insight. 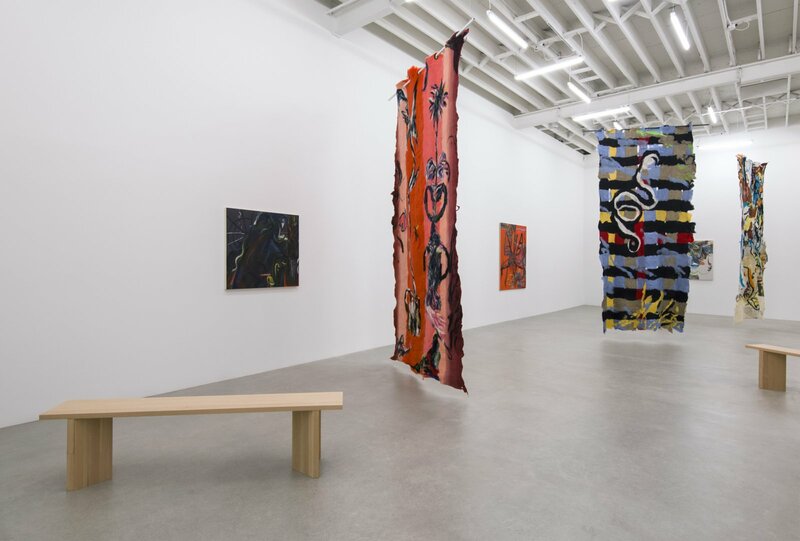 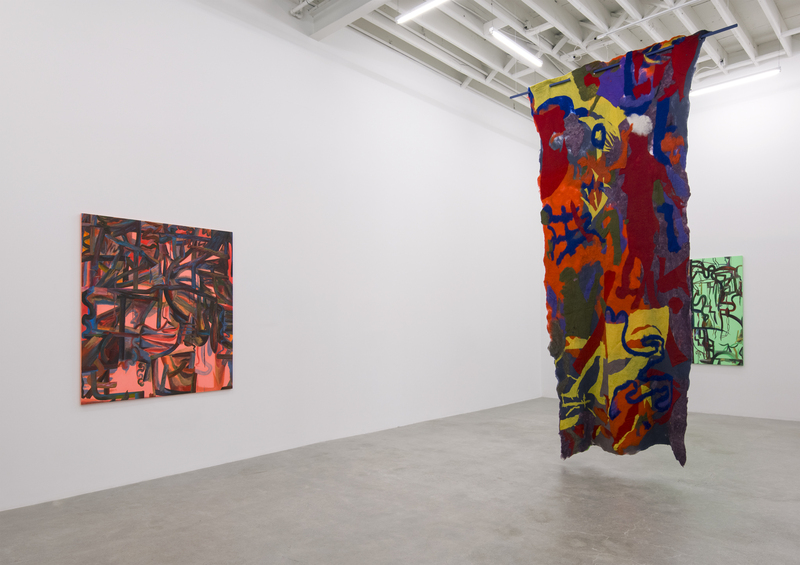 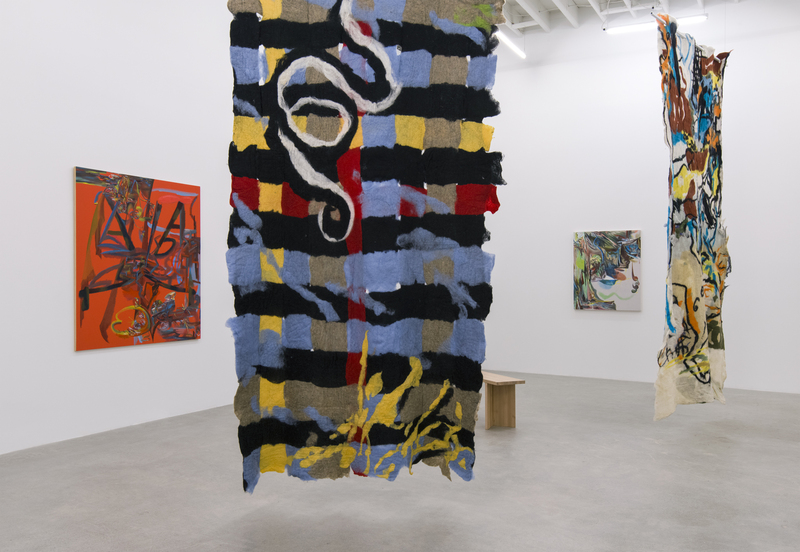 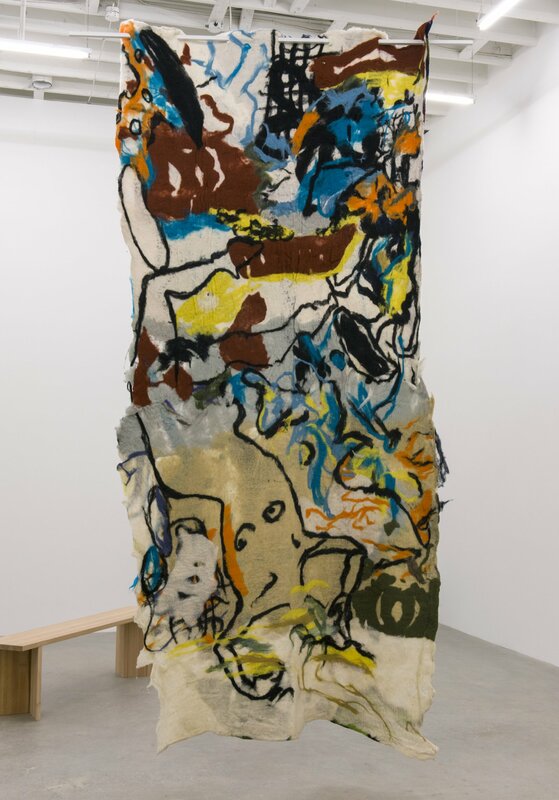 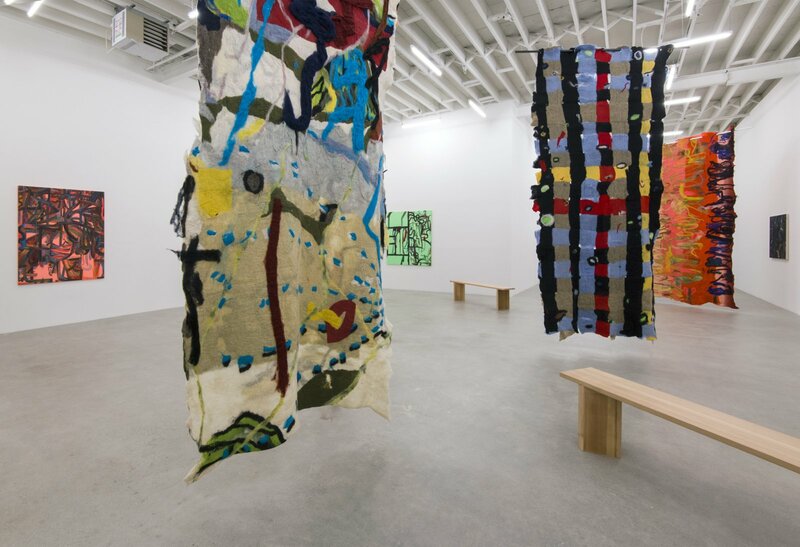 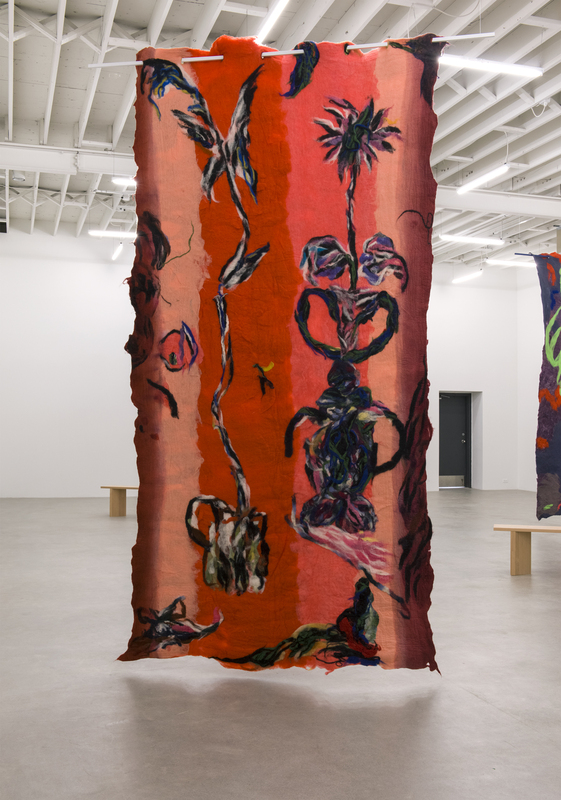 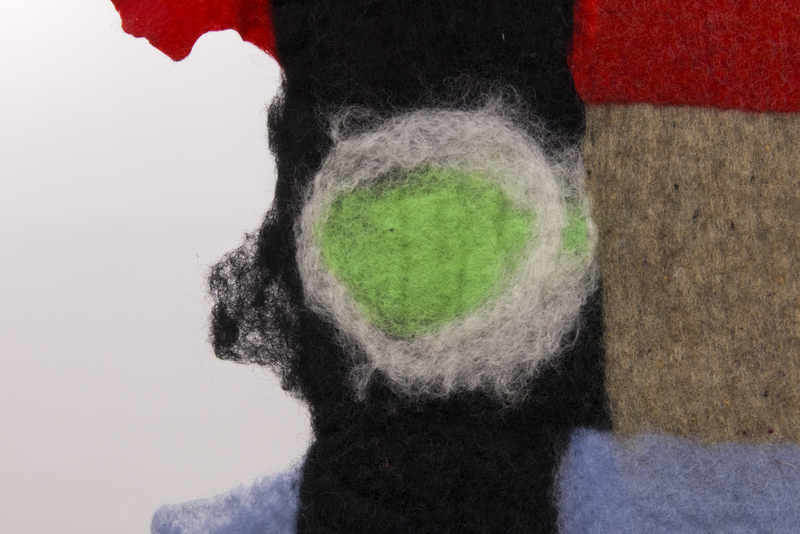 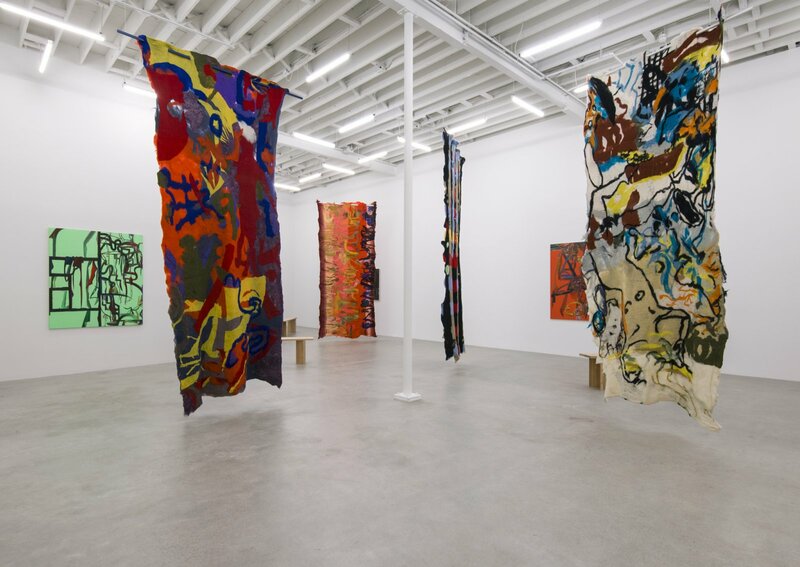 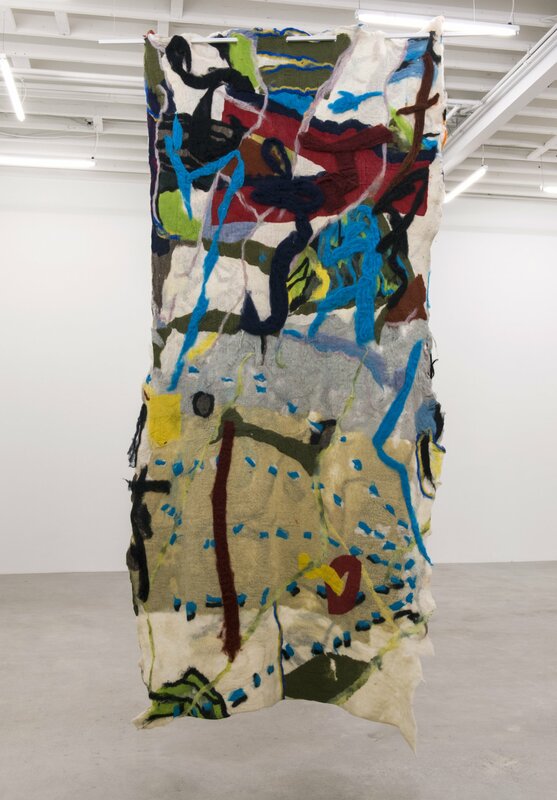 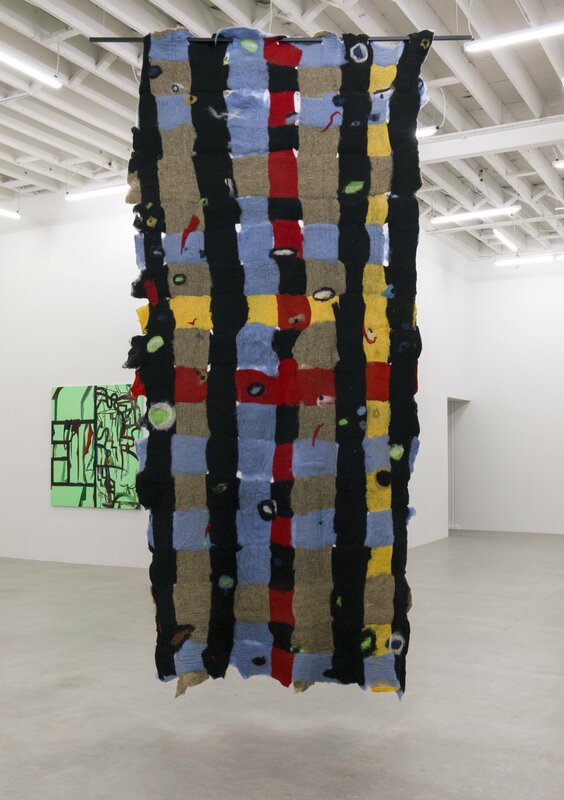 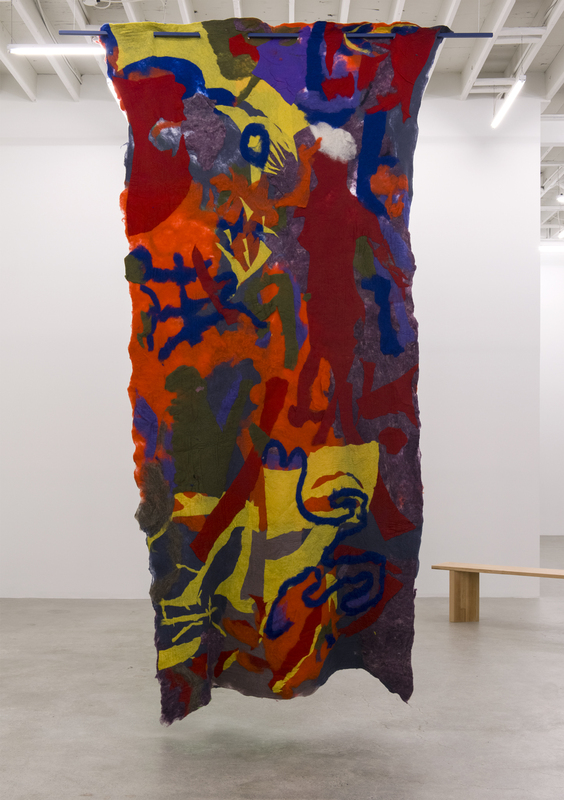 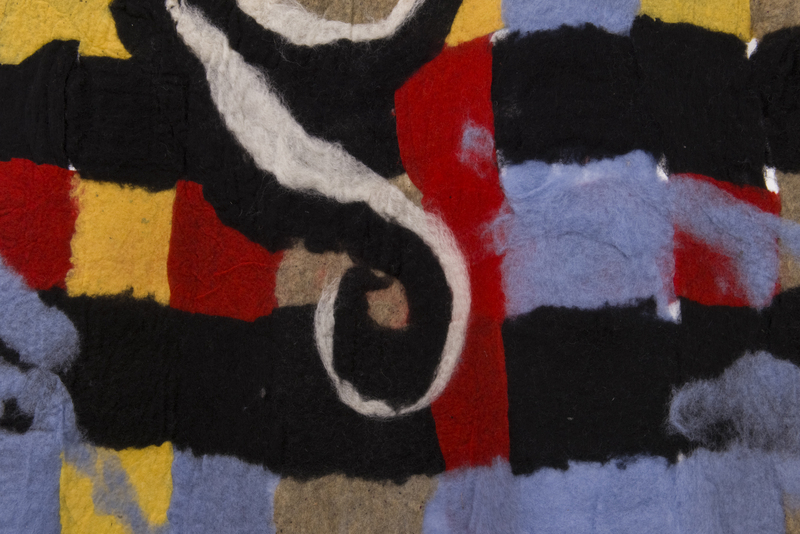 In relation, four hanging felt works are to be considered from both sides, the physical and time intensive process of felting on this scale in direct conversation with the surrounding painting. 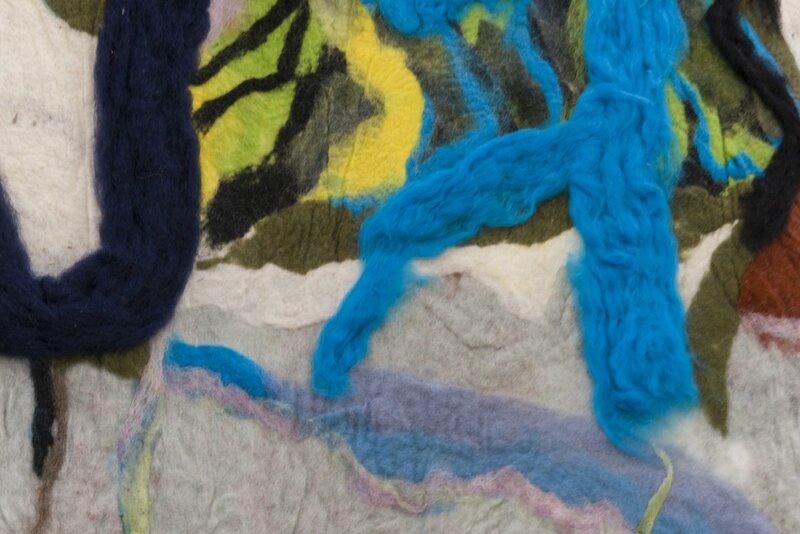 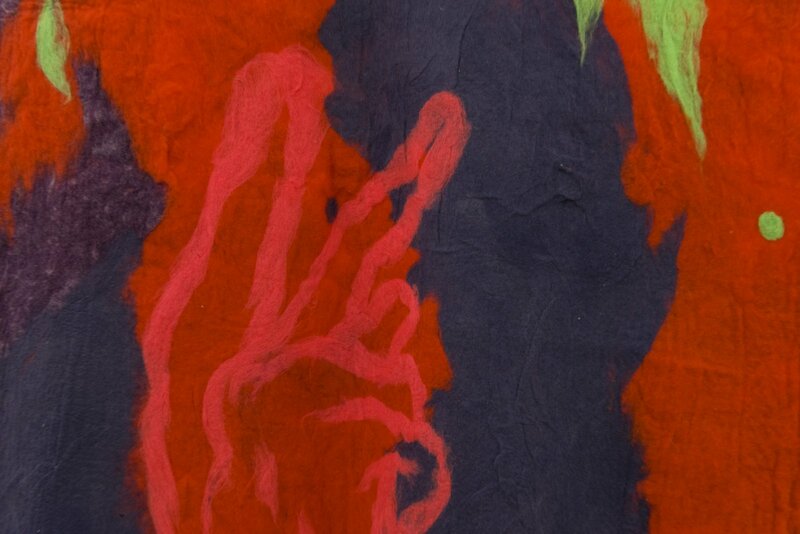 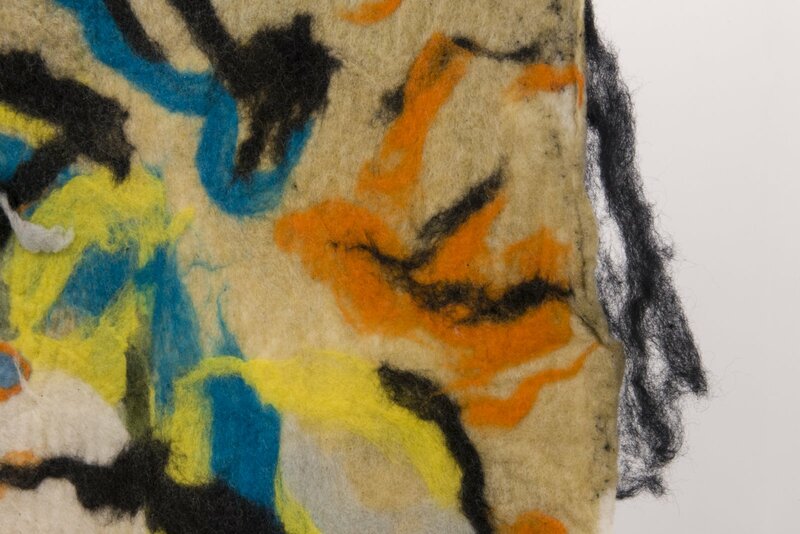 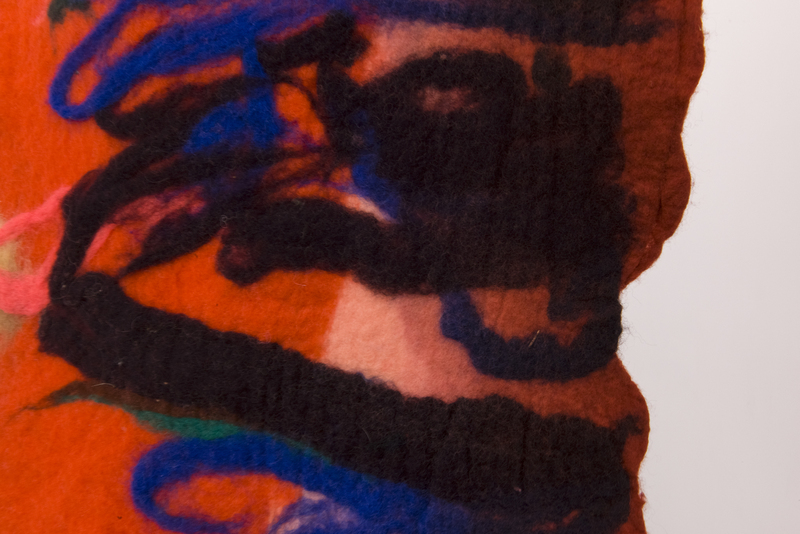 While the temporal process of painting itself can be a contemplative bodily action, the severely physical and time consuming act of binding fibres together in felting is one of direct mediation through bodily activity. 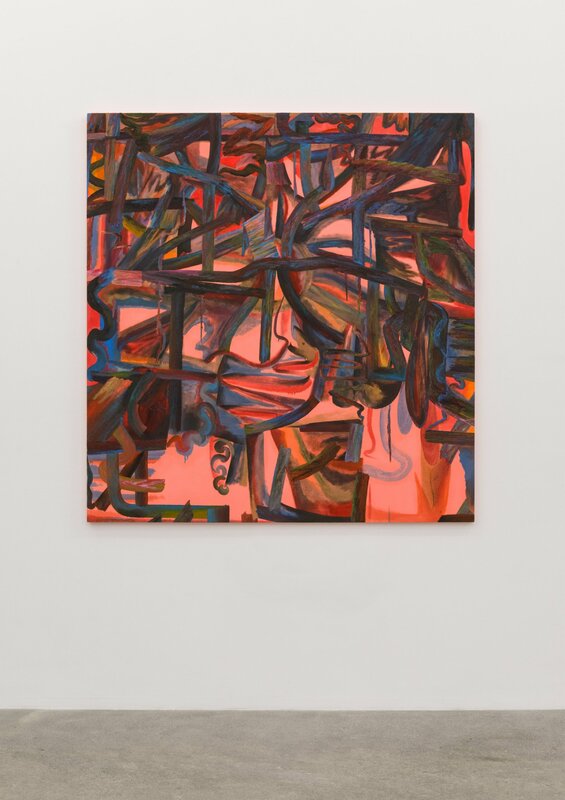 The planes and depth in both mediums push and pull, as recognizable forms and lines conjure images and then recede into complex compositions in colour and texture. 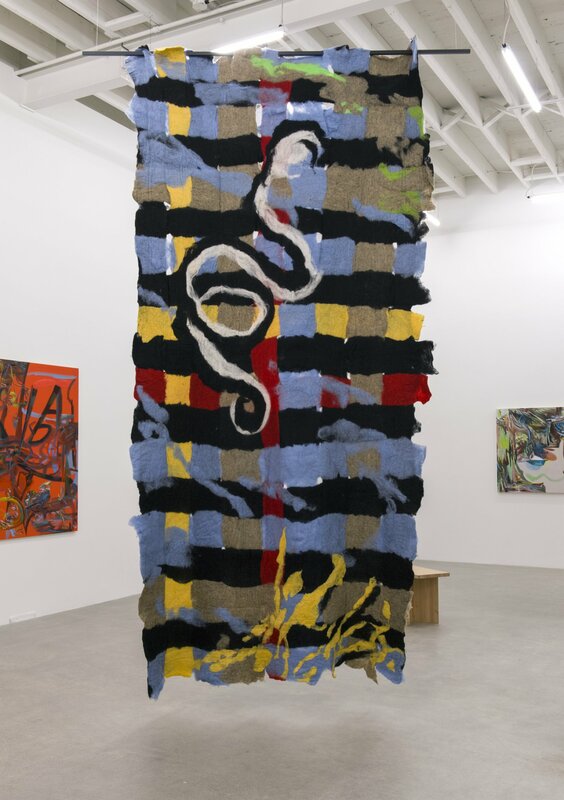 Snakes merge into the leading of stained glass, on which hang clothes; cobwebs, flowers, vines, mollusks and moths appear and fade. 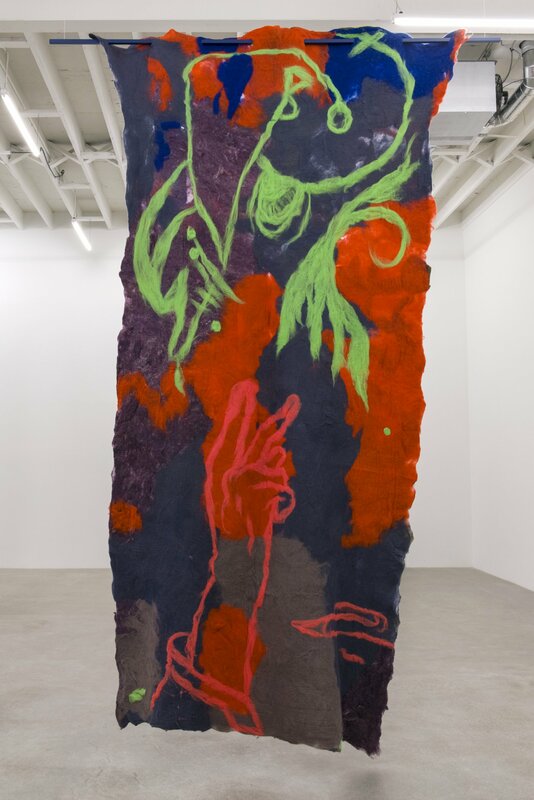 Working with references to alternative visual histories from feminism, occultism and alternative medicine – sources that parallel and contrast the artistic canon - Brewer proposes an altered experience. 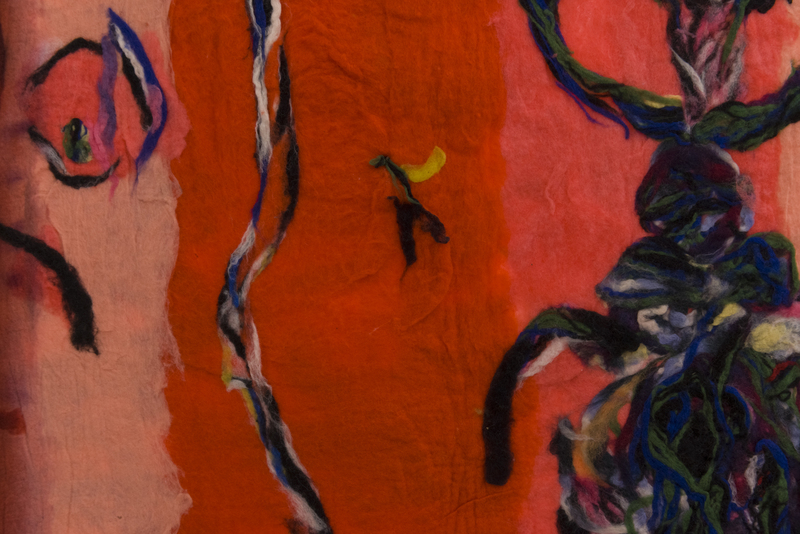 Celebrating neurodiversity and transmundane experience as a form of resistance, as opposed to celebrating the avant garde, Brewer asks “can we queer the art historical canon?” Her network of research and references include, but are not limited to: pop-psychology, psychoanalysis, neuroscience, synaesthesia, automatic painting, Italian sottobosco (literally undergrowth) painting, intelligent systems in the plant and animal world, dark ecology, Alice Miller’s therapy paintings and the Occult sigils of Art Nouveau artist Austin Osman Spare. Texts by Anne Boyer, Amy Kazymerchyk, and cheyanne turions here.